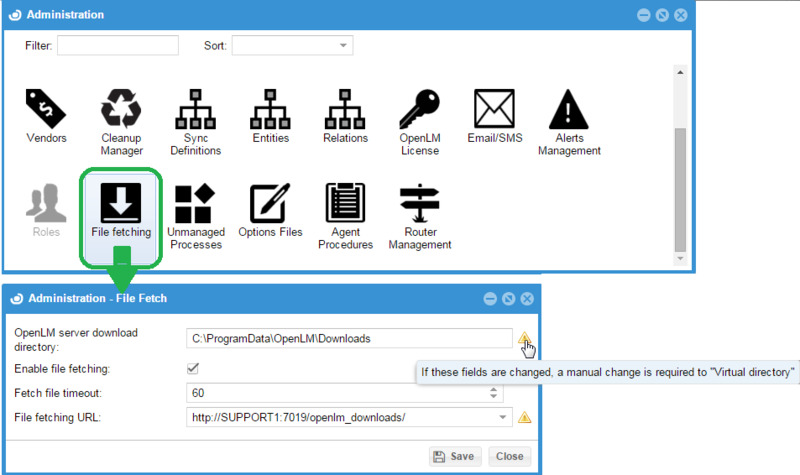 OpenLM enables users to import text files from the license server machine on to the local machine running the EasyAdmin web application. This capability has been proven useful in environments of restricted access , separating OpenLM users from license administrators. 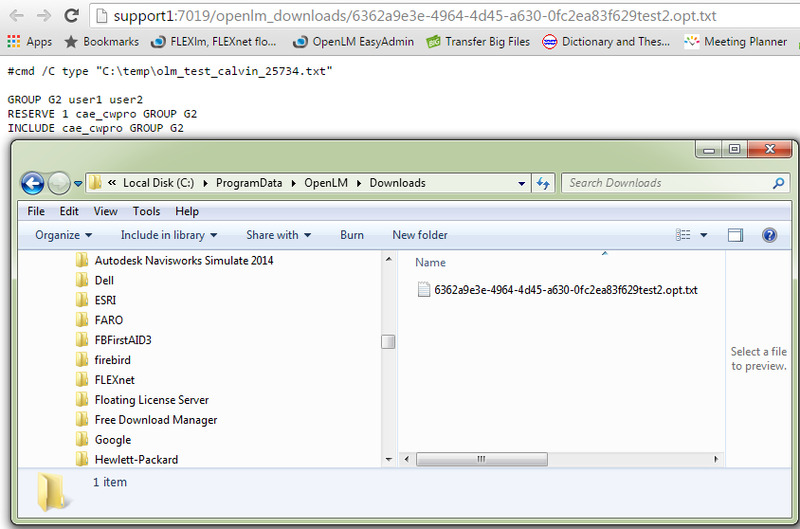 OpenLM users can configure the OpenLM Server to send a request to the OpenLM Broker, for the contents of these text files. The OpenLM Broker will respond with the required text, and the EasyAdmin web application will provide the ability to download this contents to the local web-browser machine. The URL and physical location to which the file will be downloaded are set in the EasyAdmin Start → Administrator → “File fetching”.